What's not to love about the color green? It's natural and refreshing. Formed from the combination of blue and yellow, it is a balance of warm and cool hues. It soothes the mind and relaxes the body. Green is the color of life! 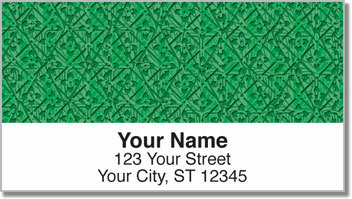 Patterns in Green Address Labels from CheckAdvantage let you make your outgoing mail come alive! 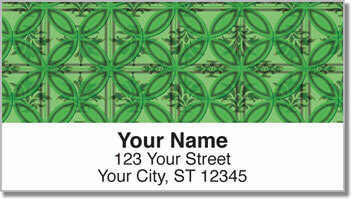 Four intricate patterns feature many different shades of green - from jade and olive to emerald and forest green. 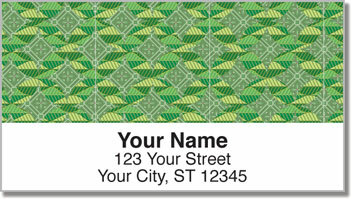 Use these attractive labels to make the chore of preparing outgoing mail quick and easy. You'll never have to scribble your name and address on an envelope ever again! 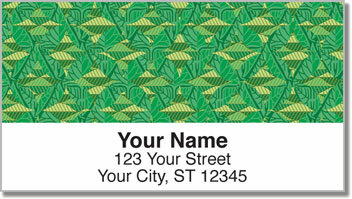 Order Patterns in Green Address Labels today! This stylish choice is also available as a set of matching personal checks!